I usually do a Freebie Wrap-Up on Fridays, but I missed last week and there are so many great ones this week that I didn’t want to wait two more days! 1. Free Diabetic Cookbook for the Holidays – I’m guessing there will be a number of treif recipes that need tweaking, but given that it’s FREE, I figure I can cope. It requires a quick sign-up, so I recommend, as always, that you use your “sign up for freebies email” and not your primary email. 2. Free Sample of Burt’s Bees lotion – Facebook users only. “Like” them, then follow the directions on the screen. 3. Sesame Street Math is Everywhere — Call the 877 # to order your free kit. Thanks to Reader Sora for the heads up on a possibly unscrupulous situation with this one. I vet all the freebies before I post them, and this one didn’t come up fishy. But I’ll do some more checking and report back. 5. 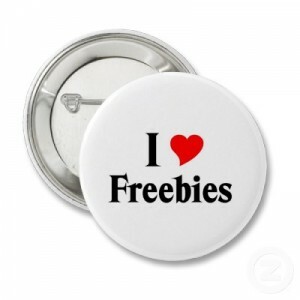 And don’t forget about the EVERYTHING’S FREE deal right now at Vistaprint. You pay just shipping and handling. I’ve been procrastinating, but I’m hoping to finish up my photo flipbooks today, then on to the photo mugs. P.S. Anybody else lovin’ their mailbox recently? In the past two days, the mailman has delivered my P&G sampler with loads of freebies and coupons, my sample of Wisk detergent, a travel tube of toothpaste, a full-size roll of painter’s tape, and a tester of Garnier Ultra-Life moisturizer. Just a little warning- I have subscribed to another freebie site that is usually correct when they say an offer is a scam. It seems that the Mist8 cleaner is completely fake, and you shouldn’t give your information. Thanks, Sora. I got it from a “reputable” freebie site, but I’ll pull it now and do some checking. I appreciate the heads up!